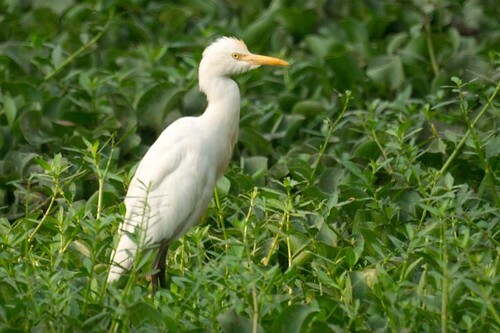 The Cattle Egret is a stocky bird with relatively short thick neck, sturdy bill, and a hunched posture. 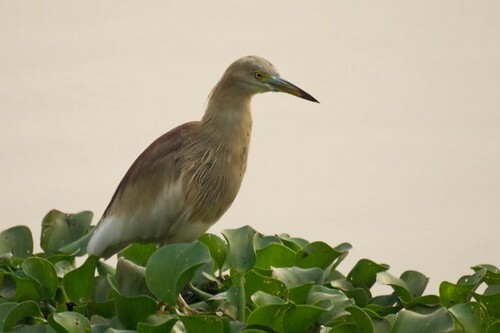 The non-breeding adult has mainly white plumage, a yellow bill and greyish-yellow legs. During the breeding season, adults develop orange-buff plumes on the back, breast and crown, and the bill, legs and irises become bright red for a brief period prior to pairing. 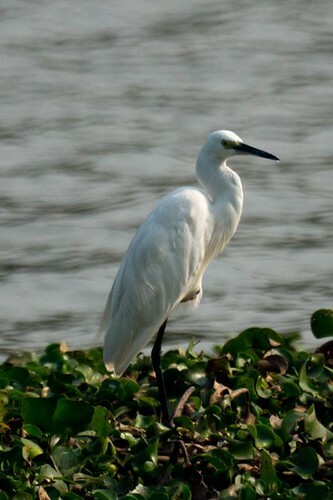 The adult Little Egret has a plumage that is all white. The subspecies garzetta has long black legs with yellow feet and a slim black bill. In the breeding season, the adult has two long nape plumes and gauzy plumes on the back and breast, and the bare skin between the bill and eyes becomes red or blue. Juveniles are similar to non-breeding adults but have greenish-black legs and duller yellow feet and a bare patch of grey-green skin between the bill and eyes.